Maybe you remember the other Predator movies fondly, like me, and have an urge to check this one out, especially because it’s directed by Shane Black. This movie is awful from start to finish. I’ll admit that it’s got a few funny one-liners, but the general story is a convoluted mess, the characters are about as thinly developed as possible, the special effects are not particularly impressive, and it honestly made absolutely no sense at all. Furthermore, it treated mental disorders as punchlines throughout and made a rather insensitive reach regarding autism for the sake of trying to introduce a plot element. 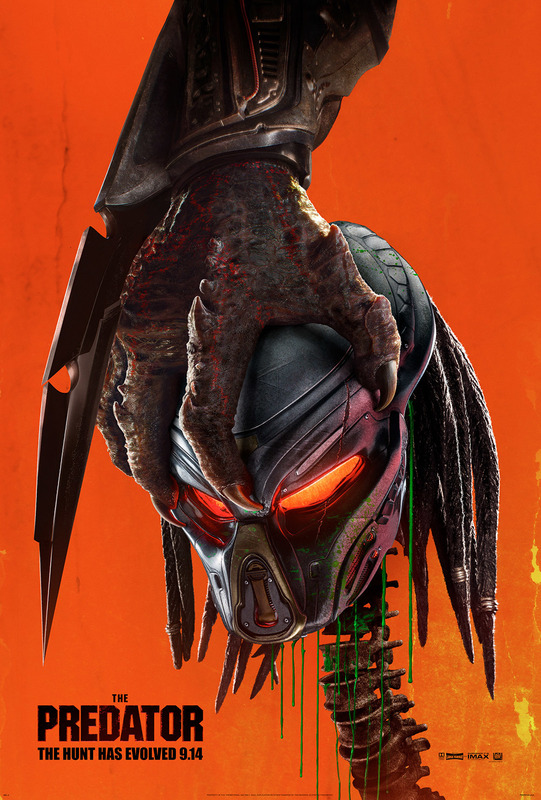 At least with the other Predator movies we had actual stars that oozed charisma, but I can’t even tell you the lead actor’s name in this thing. I felt really bad for Thomas Jane, by the way, an actor I really enjoy in The Expanse. Man, he really lowered his standards with this thing. I typically like Olivia Munn as well, but her character was all over the place. One minute she’s a scientist, the next she can operate heavy artillery. Another misstep is that there wasn’t enough Predator in this thing! We spent far more time with humans than Predators, and those humans were not at all interesting. Sadly, I couldn’t even keep track of the Predator’s story line. The movie introduces a ridiculous premise involving a particular Predator while providing zero background information or motivation for said Predator. Finally, at the risk of spoiling the ending of the movie a bit, Sterling K. Brown is set up to be the “bad guy” of the film. At the end of the movie, he’s in a group with the “good guys” trying to survive the Predator. I literally have no idea what ever happened to him. I asked my friend who saw it with me, and he had no idea either. Oh, and don’t even get me started on the Predator dog who decided to be man’s best friend for absolutely no reason at all. Do yourself a favor, go see The Meg instead of this. It’s terrible, too, but at least it attempted to make sense and was somewhat comprehensible.